Next book in the works! 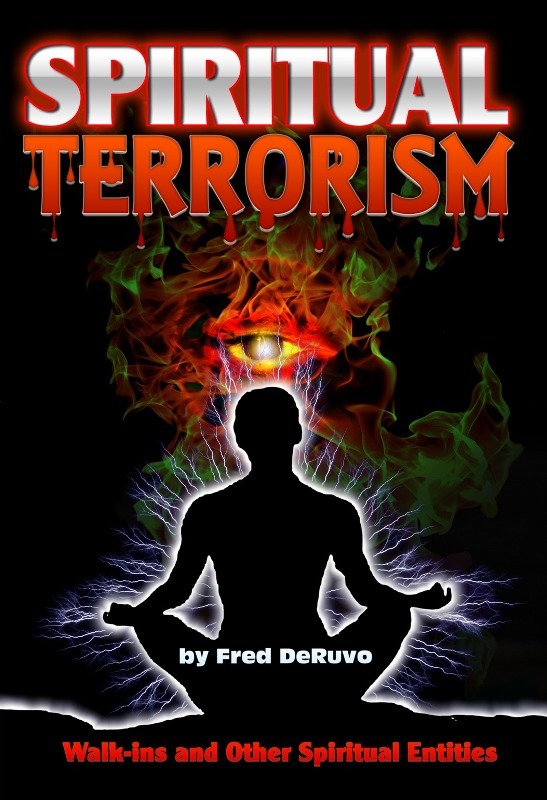 Just a quick note to announce work on our next book Spiritual Terrorism. This book picks up where Demons in Disguise and Nephilim Nightmare left off. We will post updates as they occur. And they Say Christians are Intolerant! Kids are raised to believe that it’s only sticks and stones which can inflict real pain and they should ignore it when being called names, or when they come across someone who is intolerant in word. Yet, in the adult world, this is not the case. Tell people today that homosexuality is wrong and possibly go to jail (it’s already happened in Great Britain). Tell people that Jesus Christ is the only way to receive salvation and be accused of being intolerant. If you happen to be a Christian living in Iraq, then you’d also be prepared to give up your life too. Pastors who receive salaries place themselves in danger of compromising God’s Word under the guise of keeping the peace. They might also wind up compromising His Word to keep people from leaving to go to a church that’s more fun, more entertaining, and more exciting. Satan has undertaken (under God’s watchful eye), to overthrow America, because of the fact that this country was founded on Christian principles and because of our long history of support for Israel. However, instead of coming at us in a true frontal assault that would have been noticed, he did the more intelligent thing, and placed people in various roles throughout America’s society. As each person began carving out their niche, endeavoring to eradicate this belief, or that, which by itself may not have seemed like, or amounted to much, taken together, the amount of energy that the devil has spent overthrowing America from within is nearly unbelievable. If not for the fact that the Bible warns us what life will be like in the end times, it would be very difficult to believe. So between this and numerous other statements in the New Testament, we know that demons tell the truth. Sometimes, it’s what they do NOT say that makes them a liar because of the impression their words give. As Prophezine.com points out, this statue of Buddha is nothing more than an idol, because of its connection with a religious practice and spirituality. God says that we are not to make idols. We are not to make a statue of Jesus and worship that statue. Anything that becomes to us an idol is wrong and in spite of the fact that Mayor Newsome believes the presence of this idol across from SF City Hall is wonderful, it is not wonderful. It is merely another rung in the ladder that leads San Francisco away from God. It is the city thumbing its nose at the Creator of the universe. No one wants to see people go without. But it is incumbent upon the nation to which these people are legal citizens, to provide for their own, and not force them (by doing nothing) to enter another country illegally to stay alive. As long as the President of Mexico (and anyone else) believes that by attempting to shore up the holes in our immigration laws, we are doing something immoral, they only need to ask themselves why these people NEED to come here from the start. They also need to turn their attention to their own immigration laws which leave a great deal to be desired, especially in the area of civil rights and inhumane treatment of foreigners.